Whatever Wednesday is when we explore all the different ways that What-EVER! spray can be used around the house. It is an amazingly versatile little workhorse and because it is so safe and friendly, the uses are endless. If you'd like to share the unique ways you use What-EVER in your life, post a link in the comments or email me kate at cleanhappens dot com and tell me about it. I told you about how my old stove crapped out on me and I had to buy a new one a couple of weeks ago. 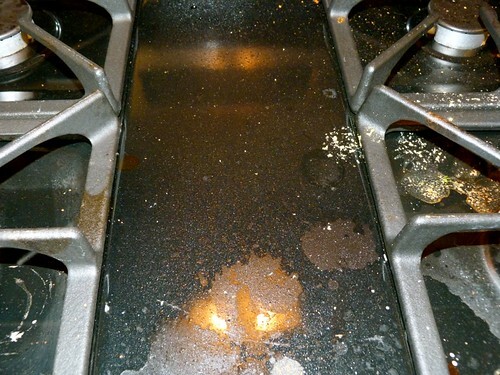 When I was looking at new stoves, my mother advised me, "Don't get a black stove top. They are a total pain to get clean and they are always streaky." (Ok, that wasn't a direct quote. But, you get the idea.) Now, because this wasn't your mom advising you, you who do not do freelance writing work for a company of cleaning products whose powers you constantly exalt, you may not see the subtle heartbreaking clue that not even my own mother reads these silly little posts. 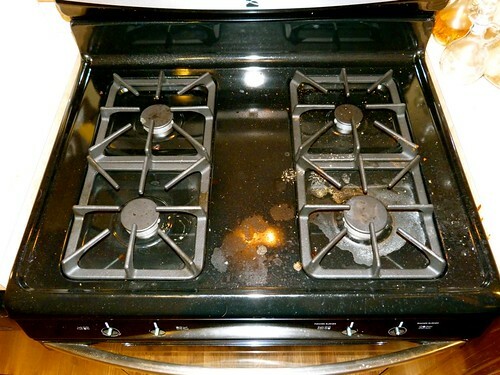 So, though now her mother's guilt will drive her to comment here on how proud she is of her child's writing that is clearly dripping with genius, let's not forget... the black stove top. 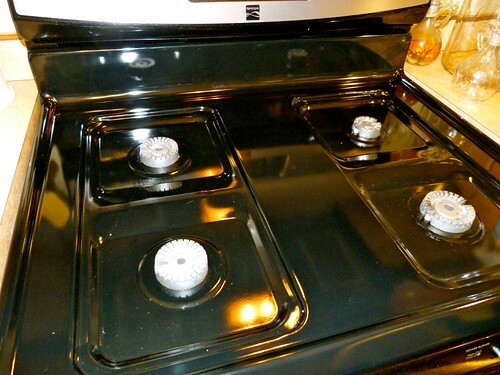 Well friends, I did buy a black stove top. I had no fear or trepidation about doing so because I had just kicked a black stove top to the curb, and I have my trusty bottle of What-EVER. A few sprays of What-EVER and a damp cloth. voila! So you see, no need to fear the black stove top. 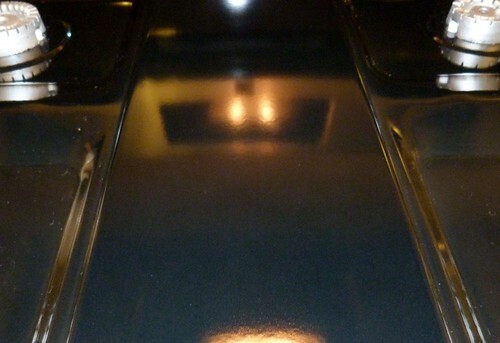 What-EVER will get it super clean and streak-free. *tap tap tap* testing one. two. Is this thing on? Mom?